WE ARE COMING TO YOU! Cure HHT is thrilled to announce that we will be hosting a conference this fall in Pompano Beach, Florida (near Fort Lauderdale). Florida is a large state and is underserved by knowledgeable specialists but we are working to change this. You and your local physicians will be able to learn from HHT Centers of Excellence experts in neighboring states. Come early and get to know your fellow Floridians at a Meet and Greet on Friday evening (September 20) from 6-8pm. More information concerning the program, speakers and registration will be available in the coming months. Stay tuned! "It is essential that we provide ourselves and our children with all the resources necessary to take control of our health. Knowledge is power, and understanding that you are not alone in this fight is just as important for children." 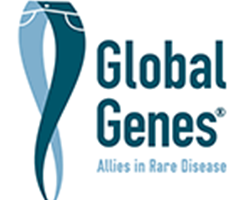 "The conference gave me new insights and perspectives into owning my genetic disorder. I was provided with a tremendous amount of new information that will guide me in positive directions." Registration includes priceless time to interact one-on-one with HHT specialists, access to all presentations, presentation materials, meals served throughout the conference and the welcome reception. Accommodations are NOT included in registration. Please visit each conference website to learn about how to secure accommodations for your stay. Who should attend a Cure HHT Patient Conference? You can register online through each conference's website or over the phone at (410) 357-9932. What is the appropriate Conference attire? Casual attire is appropriate for the entire conference. We recommend bringing a sweater to wear as the room temperatures can fluctuate. Dinner attire is suggested for any evening events. If you have questions or need more information about the upcoming Cure HHT Patient Conferences, please contact Nicole Schaefer at [email protected].